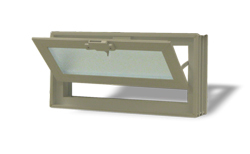 Lang Exterior, a manufacturer of vinyl windows in Chicago, has expanded its inventory to include hopper vent windows. Visit: www.hoppervents.com. Its vinyl windows are manufactured to custom specifications, which ensures a perfect fit. CHICAGO, IL -- Lang Exterior, a manufacturer of windows in Chicago for nearly 60 years, recently expanded its inventory by adding hopper vent windows in custom sizes and colors. Homeowners can choose from woodgrain, beige, bronze, brown, clay and white interiors and white, brown, bronze, clay and green exteriors. Now homeowners have the color choice of their dreams, instead of ordinary white hopper vents. Lang vinyl Hopper windows are made from premium vinyl and open inward, just like a traditional hopper-style window. Standard sizes are readily available, but because Lang Exterior manufactures each window to custom specifications, it's possible to get the perfect size for any home or building. "We're constantly looking for new ways to better serve our customers and think that these hopper vent windows will be a welcome addition to our product selection. We manufacture everything here in Chicago, in approximately 3 working days (varies in seasons) but we're not satisfied with simply having a stockroom where customers can choose from pre-made windows. Every single window that leaves our facility is custom made, which means we can easily change specifications by as little as 1/8 of an inch. If you're looking to upgrade your home's windows and improve its efficiency, come see why we're the oldest vinyl window manufacturer in the Midwest," said the Vice President of Operations for Lang Exterior (langexterior.com/). In addition to custom making vinyl windows, Lang offers a lower price guarantee. If customers find a comparable window that's lower in price, Lang Exterior guarantees to beat the price by 10% (ask for details). The company has an extensive selection of windows in addition to the hopper vents, including, double hung windows, slider windows, casement windows, bay and bow windows, aluminum windows, storm windows, glass blocks and patio doors. Although Lang prefers to sell directly to window contractors (wholesale), the company does offer glass repair services to the general public. Visit: www.reglazes.com. Homeowners with broken glass in their vinyl windows simply need to bring it to Lang Exterior's South Side location on West 59th Street. Any windows brought in by 8 a.m. Mon-Fri will be repaired and reglazed by 3:30 p.m. (in most cases), which cuts down on the time customers are left with a opened window in their home. About Lang Exterior: Lang Exterior (langexterior.com/) is a family owned and operated manufacturer of vinyl windows in Chicago. The company manufactures each of its vinyl windows in Chicago to custom specifications, which means that customers always receive a perfect fit for their home. Lang Exterior offers a number of styles, sizes and colors, including new hopper vents, double hung windows, casement windows, sliding windows, bay and bow windows and patio doors. To learn more or to find a showroom in Chicago, visit the company's website.